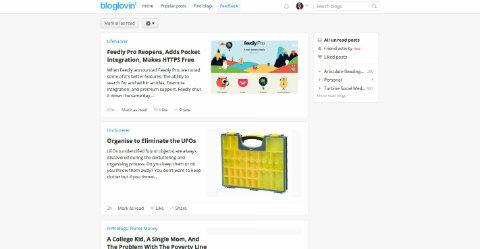 For all of you who are still feeling bereft at the loss of Google Reader, there are, as you may already know, two big contenders who hope to fill its shoes: Feedly and Bloglovin'. Now, I'm more of a Twitter link follower than a dedicated blog follower but I have my list of favourites that I like to dip into when I'm feeling a little short of inspiration. Before Google Reader shut down I transferred my list to both services, and have been intermittently playing with each ever since. Today I also downloaded the iPhone apps and took them for a proper spin, and so here follows my review of the rivals. Since it was the first one I heard about, I will review it first. For me, the key point was does it make me want to come and read blog posts? With a million and one other things to do, keeping up with online content often falls the the bottom of my pile, but it's vital for keeping on top of trends, tips and nifty things. As a blogger (amongst other things) I need a reader that encourages me to do just that. 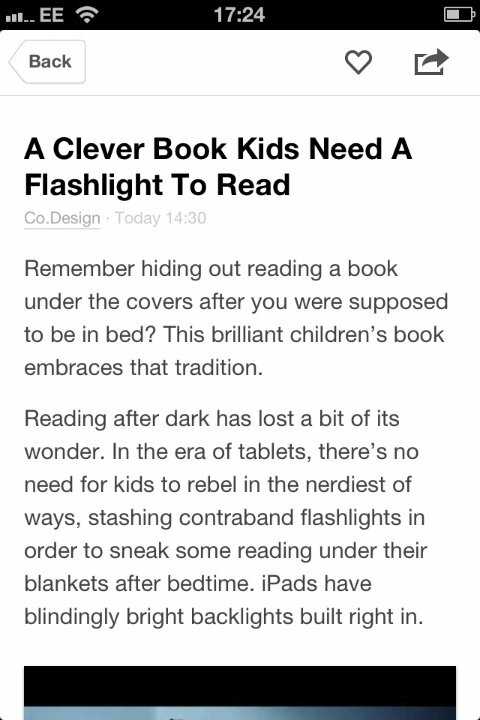 As a reader, Feedly works. In a browser, it's functional, but not sleek. 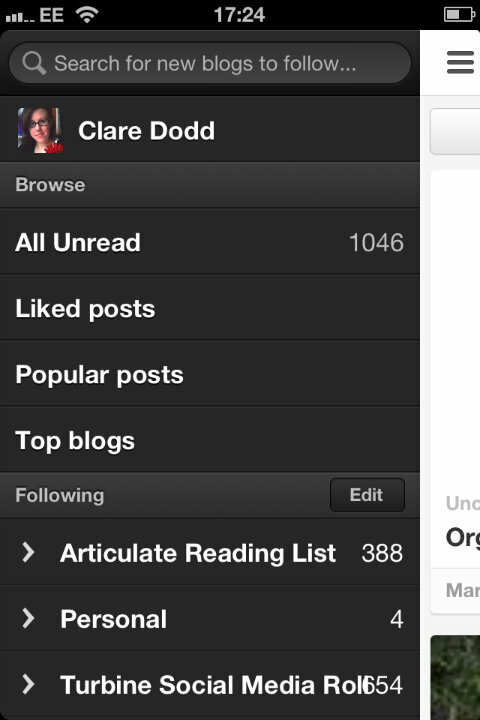 It feels very utilitarian and the quantity of unread posts feels daunting. I know it needs to work, but it doesn't do much else, and I have no desire to spend any length of time there. The app is much more beautiful, but for me it's a bit too UI, and not enough 'I actually want to use it'. My 'stack of cards' doesn't add anything to my reading experience, and the 'Today' posts sometimes come up as a single card taking up the whole screen, adding extra swipes to get through my list. Firstly, an extra feature of Bloglovin' means you can register ownership of your blog, and keep track of how many Bloglovin' followers you have. You get a little avatar, and other people can see who you follow (and vice versa). It's much more in the spirit of serendipity discovery, like watching for interesting tweets, than Feedly, which largely relies on you knowing who or what you want to follow. 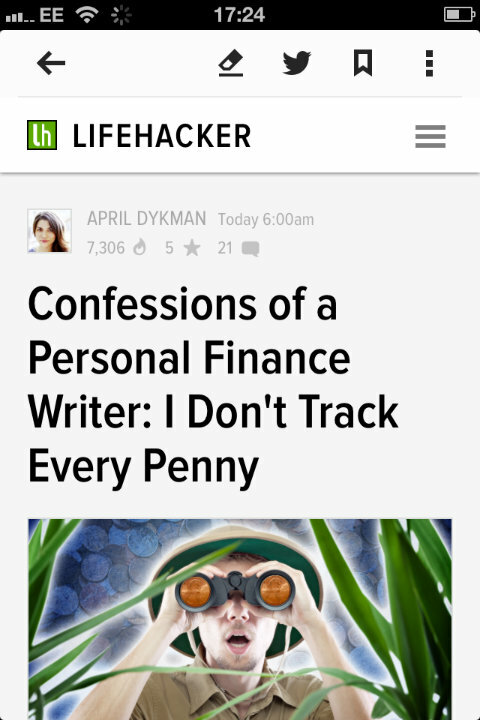 The browser version is much nicer than Feedly. Lighter, softer, and simpler to read and use. It feels more curated and appealing than Feedly, which to me looks like that stack of unread newspapers that's been sat in the corner for the last month. 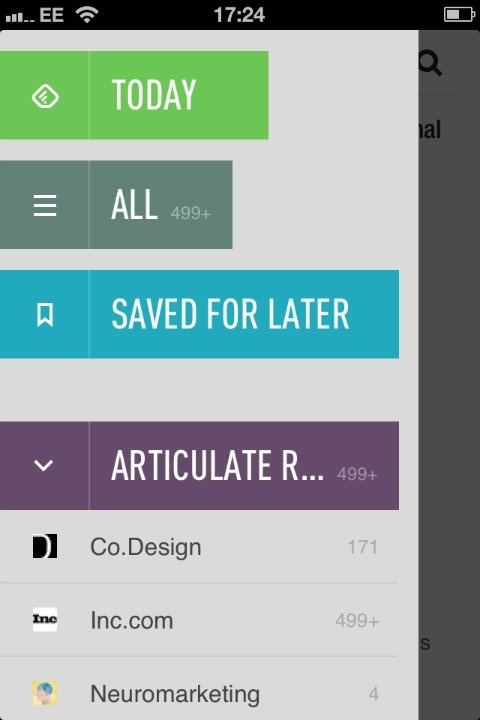 The app is less developed than Feedly's. Yes the sharing could definitely be better and links in grey sometimes make them hard to spot (although they open fine and offer the same sharing options as the original post, like Feedly). 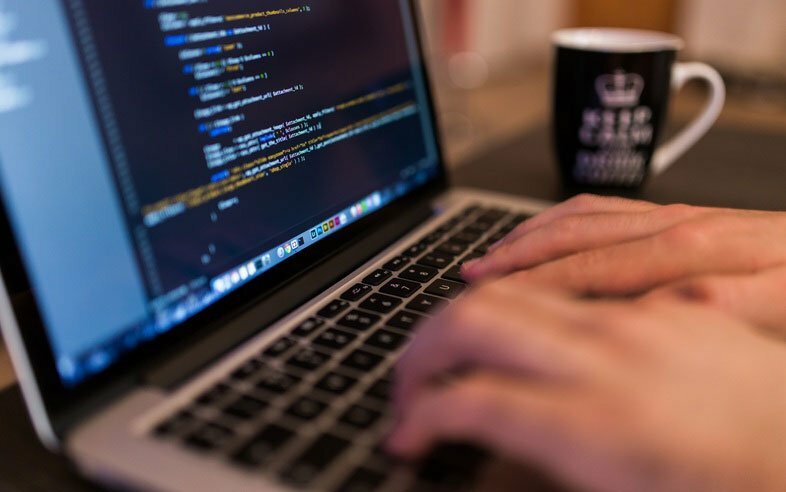 It comes down to what you want from a content reader. 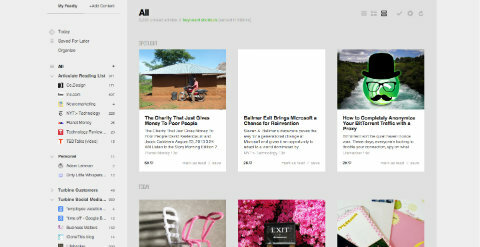 If you just want a list of all the posts, of all the blogs you follow piled up in one place, then Feedly will do you fine. If you are interested in recommending great blogs and posts to other readers, discovering new blogs and pulling together a collection of interesting things, then Bloglovin' is the reader for you. Obviously, I'm sticking with Bloglovin' - in addition to the reasons above, I think it's nice to use, looks better and most of all, it makes me want to read the content, which is what should be at the heart of a reader after all.